The green sparkle Wooden Maraca from Tycoon Percussion is constructed, both shell and handle, of environmentally-friendly Siam Oak wood. 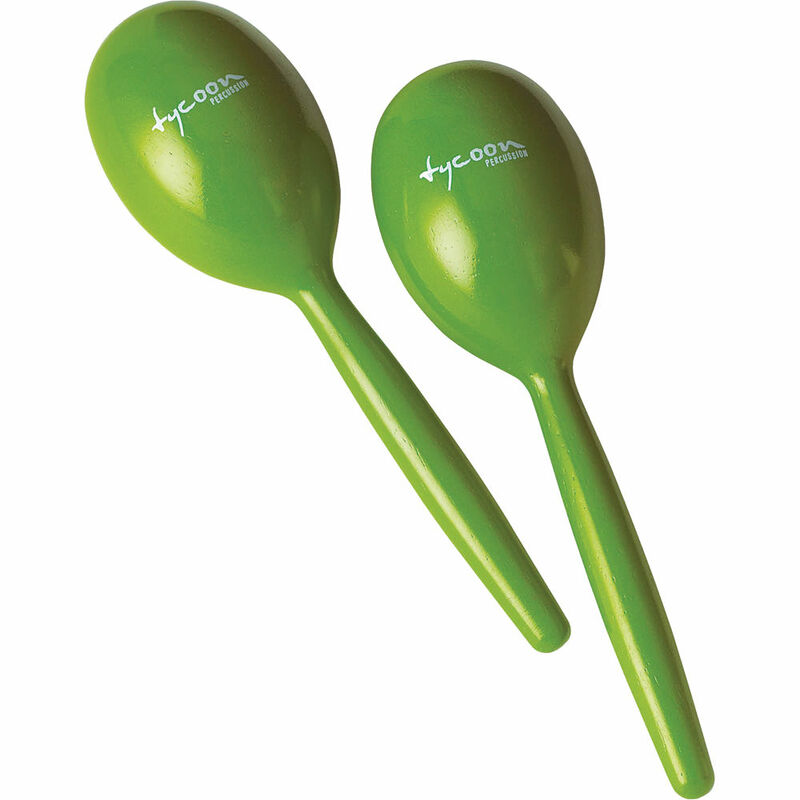 These full sized head maracas produce sharp, full sounds ideal for any musical situation. This unit is sold in matching pairs. Box Dimensions (LxWxH) 12.5 x 4.25 x 3.75"